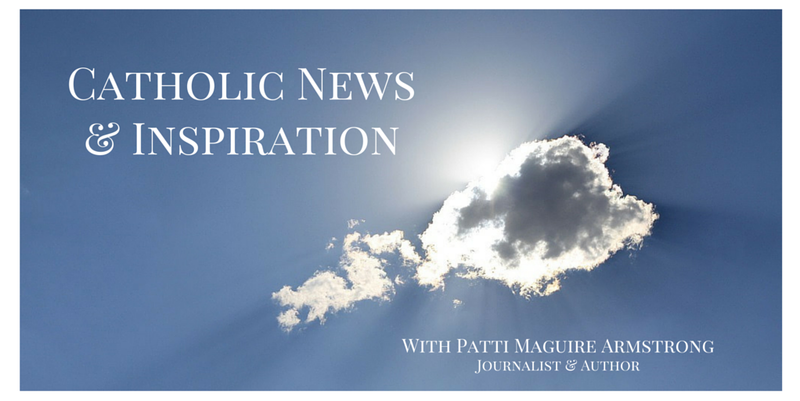 Patti Maguire Armstrong: Mary’s Assumption—You’d Better Believe It! Mary-phobics who think that Mary + honor = idolatry should realize that God started it. He sent his only begotten Son to be conceived by the Holy Spirit and born of the Virgin Mary. The early Protestants also believed Mary was ever-virgin, because of course, if sin ever was on a soul, it would mean the devil had a presence in some way on that soul. Jesus would not dwell in such a place. Protestants have forgotten to honor Mary in spite of the fact that Luther, Calvin, and Zwinglini, the three fathers of the Reformation, each affirmed that Mary is the Mother of God and a Perpetual Virgin. Martin Luther proclaimed her Immaculate Conception even before the Catholic Church did. 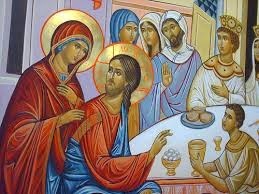 Jesus showed how he revered his mother by performing his first miracle because his mother asked him to help at the Wedding at Cana when the wine ran out. That shows the power of Mary’s intercession and the clarity of her message to us. “Do whatever He tells you” (John 2:5). Sometimes, even Catholics don’t always appreciate the Blessed Mother. Gary Zimak was an example of this. He paid her little to no attention until he was challenged by a speaker to turn to Mary. When he did, right away, a long held intention was answered. Later, two other seemingly impossible intentions were answered. He prayed to Mary for a wife (the girl of his dreams needed to break off a previous engagement for this prayer to be answered) and later their twin girls miraculously survived against all medical odds. Eventually, Gary asked Jesus with help to love His mother more. It was then that Gary learned about the Total Consecration to Jesus through Mary and formally consecrated his life to Jesus through his Mother. “From that day on, my life has never been the same,” he said. 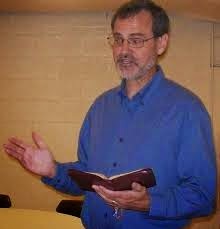 “ I have grown to love Mary and turn to her constantly.” He has become a popular speaker on Mary (See topics) and wrote the book, Listen to your Blessed Mother: Mary's Words in Scripture. “She is my Mom and I am her son. Just as my own mother used to take me shopping and on various errands, Mary now takes me by the hand and leads me on the path hand chosen for me by her Son,” Gary wrote. “And I follow with confidence, knowing that wherever Mary is…Jesus is right there too.” He explains that Mary in few words in Scripture taught us what it means to have faith and follow God’s will. 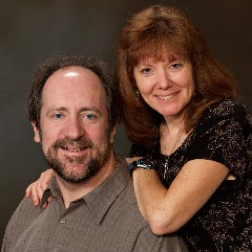 “By listening to her words, we can learn to imitate her and grow closer to Jesus,” he wrote. 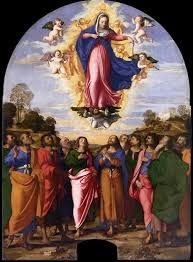 After Mary was assumed into heaven, she kept in close touch with us. The Church, a stringent investigator not swayed by emotions, has approved many Marian apparitions. There needs to be clear evidence not explained by natural phenomenon. In some apparitions, she has even given us concrete evidence, attesting to the fact that she really is as close to us as we want her to be. 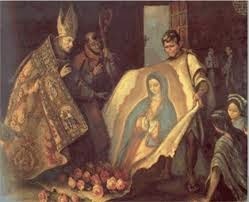 In 1531, Our Lady of Guadalupe appeared to Juan Diego in Mexico and left her image on his tilma, (cloak) which was made of cactus fibers. Scientist cannot explain how the image was created nor how the tilma did not disintegrate hundreds of years ago. In addition to countless miracles, the fruits of this image include that while the Protestant Reformation took away two millions Catholics, that same year, Our Lady’s appearance to Juan Diego accounted for 5 million Indians becoming Catholic. In 1858 Our Lady of Lourdes appeared to St. Bernadette Soubirous in Lourdes, France and left behind a miraculous spring. Our Lady of Fatima appeared to three children in Fatima, Portugal once a month from May 13, 1917 to October 13, 1917. During the last apparition, thousands witnessed the miracle of the sun. Even skeptics, who had come to mock it all, witnessed the miracle and attested that everything that had been soaked from a heavy downpour became instantly dried. God first used Mary to get closer to us and he now he uses Mary to bring us closer to him. Go to Mary and there you will always find Jesus.